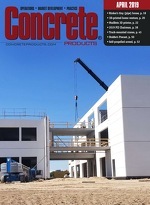 Concrete Products - We Need Less Leadership! Based on my experience with turnarounds and re-igniting growth at stagnant companies, I agree fully. The problem at all of these stagnating or declining companies was that there was too much of the wrong kind of leadership; there was too much bad leadership. Too Many Jerks. So many top leaders are really jerks, full of themselves and willing to do what it takes and to crush whomever it takes to advance their own career. Just ask around in your company, everyone knows who these bullies and blockheads are. Be warned: if you are the leader of the company, the jerk leaders that report to you are undermining your strategic vision and cultural values every single day. Too Much Going On. Employees at struggling companies inevitably are working harder than those at successful companies. Their leaders are deluging them with initiatives, programs, and re-organizations to, ostensibly, right the ship. In reality, all these activities create extra work and confusion for the team. And they create the illusion of progress for the leadership team. Too Much Focus on the Wrong Thing. We see this all the time: Companies focusing on operations when they have a sales, marketing or customer service issue. Companies failing in their current market, who grasp at straws by entering countless new markets (what Jim Collins calls “the undisciplined pursuit of more”). Too Many Leaders and Too Many Layers. Why have so many companies decimated the ranks of the front-line workers and left the ranks of top management untouched? If any of your managers have fewer than six to eight direct reports, are you really as lean and efficient as you think? With all these leaders and layers of management (especially in matrix organizations), you end up with the “bystander effect.” The company is failing and the right things are not getting down. Yet, lo and behold, nobody is responsible for the failure because leadership accountability is so diluted. Do you really need daily (or twice weekly) staff meetings? Do you need all the @#*^%@ other meetings? Do you have to check in with your team every two hours? Do you have to know everything that is going on? Do you have to comment and add your two cents to every e-mail, memo, and PowerPoint presentation? Such rampant micro-management by the leader demoralizes the team, undermines its accountability, and emasculates sense of ownership. By eliminating the bad leadership, you will immediately have better overall leadership at your company. Soon, you will also have higher employee engagement, improved customer satisfaction, and a stronger business.